I’m from New York. You can buy bagels and lox anywhere in NYC and I used to pay a pretty penny for them too at a corner deli on the way to work every day. There is nothing like the salty-sweet lox on a warm squishy bagel with a piping hot coffee to wash it down with. I know it wasn’t the ‘best’ breakfast choice at the time but back in the day, it was the breakfast of the champions. I looked forward to it. What did I know? But Now that we are ‘off’ of gluten, we don’t eat bagels anymore. Besides, we know that the heavy carb load that a bagel with cream cheese offers isn’t the healthiest way to start the day so we are trying to be ‘good’. But the lox …. ah… I miss lox. 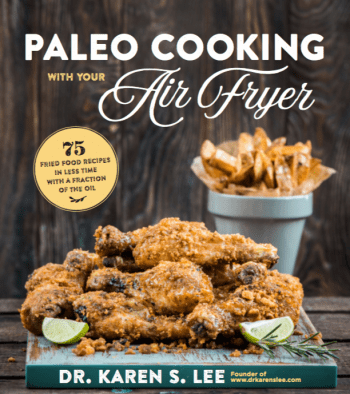 Then, this past summer, when we started on the GAPS diet, I read the Gut and Psychology Syndrome book by Dr. Natasha Campbell-McBride, in which, she recommended eating gravlax – the ‘smoked’ salmon used in lox – for Omega-3. She stated that raw salmon was better, nutritionally, and included a gravlax recipe. I was surprised at how easy it was to make it! I thought, all this time, that smoked salmon was a secret recipe that only Swedish knew and that it took days or weeks to make it in a special contraption, only available to commercial gravlax makers. 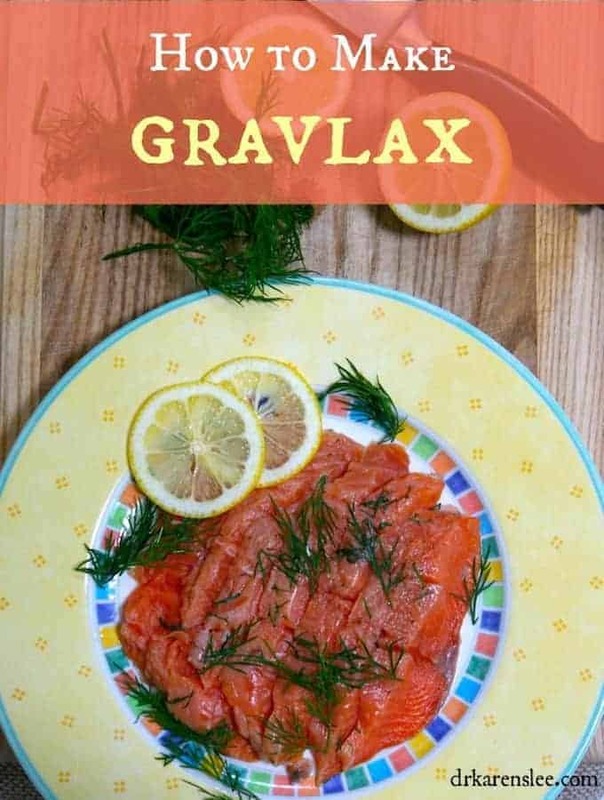 As it turns out, gravlax is so-so ‘stupid’ simple to make and you don’t need any special machines or contraptions to make it! And to think, I’ve been paying such high price for bagels and lox all these years! Ironically, I recently saw an episode on Guy Fieri’s Diners, Drive-Ins and Dives, featuring a Scandinavian restaurant where they made gravlax from scratch. And again, I was shocked at how easy it was to make it. The next day, I placed an order from an Alaskan fishery for 10 lbs of wild-caught Alaskan salmon and I’ve been making gravlax ever since. Once you try this recipe, you will thank me for saving you oodles of money from making your own gravlax. And it’s healthy and sooo nutritious too! A few words of caution. You need the freshest, fresh, WILD-CAUGHT salmon (NEVER buy farm raised salmons. NEVER!) to make gravlax. Commercial fish HAS TO BE FROZEN right after it’s caught so it’s ok to buy frozen salmon like I do from a fishery directly. But never re-freeze them once they are thawed. Good? 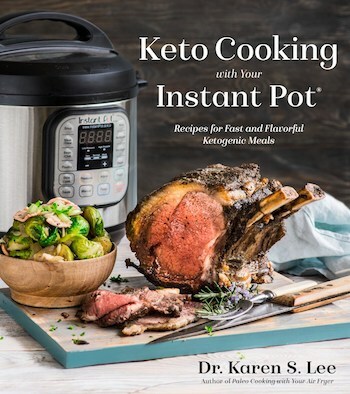 Now onto the recipe. If frozen, defrost the fish in the refrigerator until thawed. Wash dill thoroughly and drain. 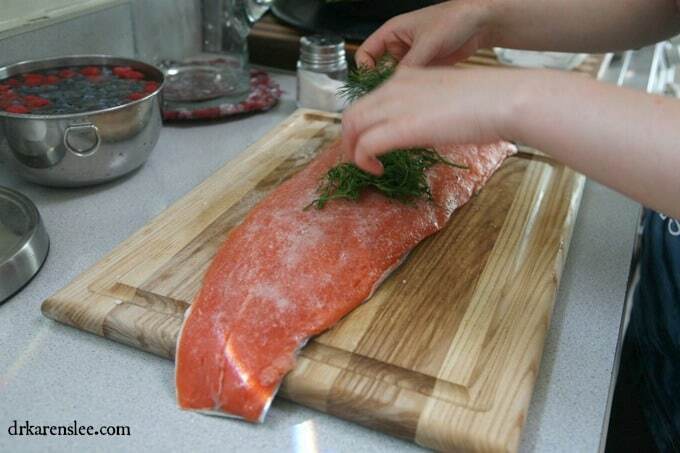 Place the fish, skin side down, on a cutting board. Sprinkle salt liberally on the meat, making sure it covers all of the meat. Cover the fish with dill across the fish, according to the picture. You will have some dill sticking out but that’s ok. 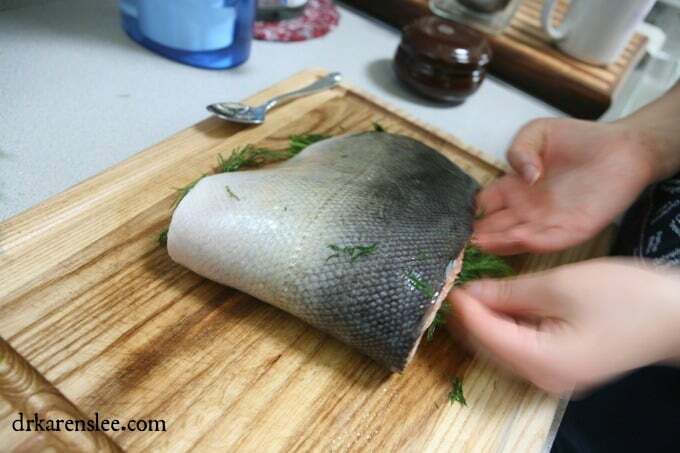 Carefully, fold the fish in half so that the bottom half of the fish is over the top half of the fish. Tuck in any dill that’s sticking out. 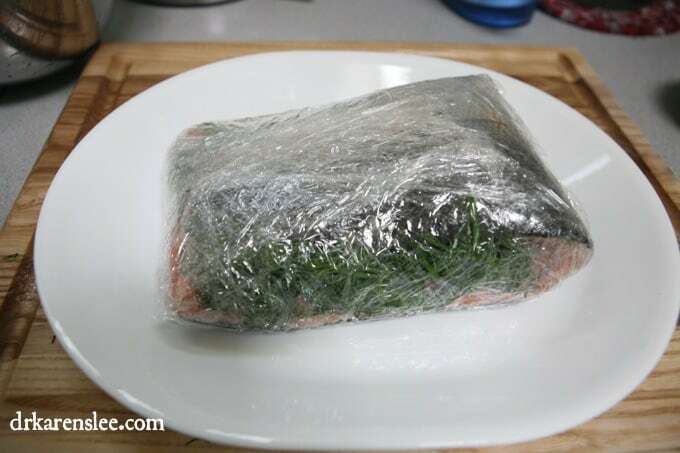 Wrap the folded fish tightly in plastic wrap. Refrigerate the fish for at least 24 hours. 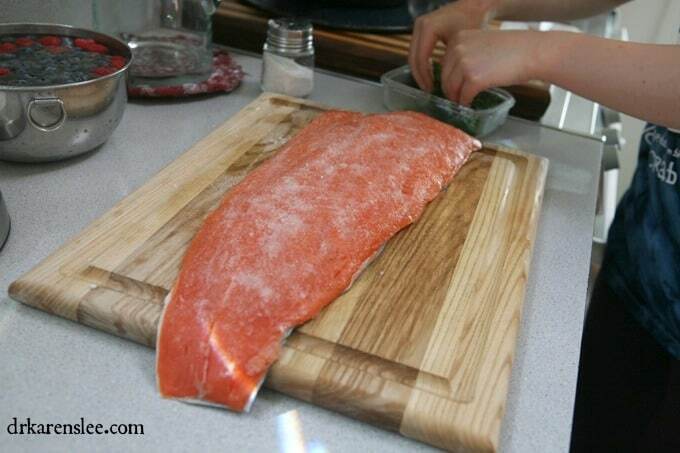 You can slice the fish against the grain in 1/2 inch thickness with a sharp knife. 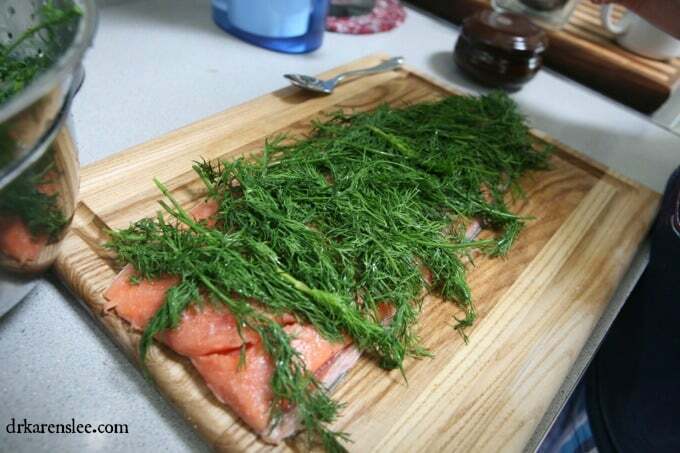 Squeeze lemon juice and sprinkle some loose dill leaves on top before serving.